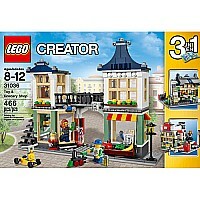 Open a world of adventures with this exciting 3-in-1 Toy & Grocery Shop. 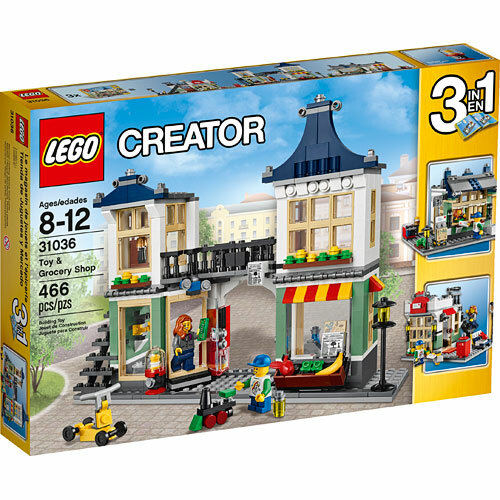 Serve your customers with fresh fruit and vegetables, a morning paper or delicious beverages at the cozy grocery shop, or visit the neighboring toyshop where there's a cool toy robot for sale! 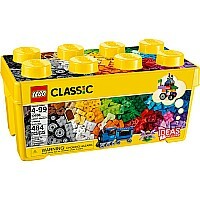 Then take a look outside, buy a tasty red apple or try out the brightly colored bubblegum machine! 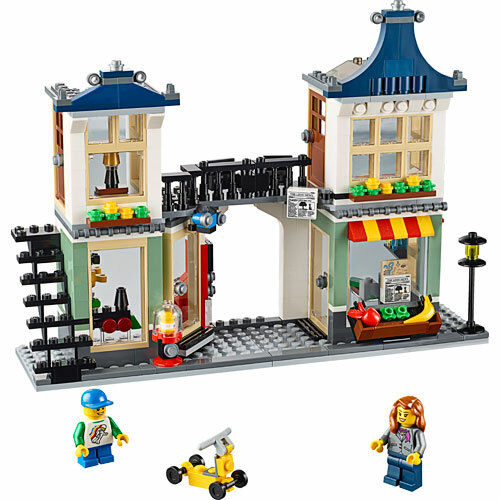 This delightful general store can be folded out to allow access to its detailed interior, or to create a colorful main street facade featuring 2 shops: a toy store and a grocery store, each with its own unique shop sign. 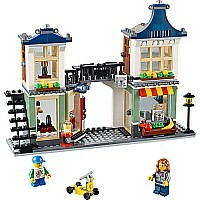 The balcony of the Toy & Grocery Shop transforms into a smart connecting bridge that links 2 cozy first floor apartments. 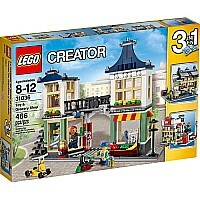 Add your own LEGO creations to expand the main street! 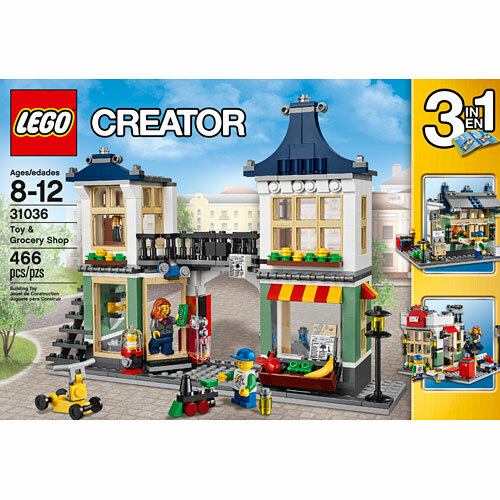 What kind of shop will you build next? 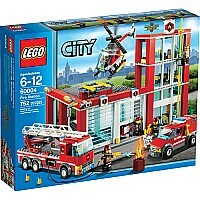 You can also rebuild the set to create a post office or a newsstand-now that's what you call a 3-in-1! 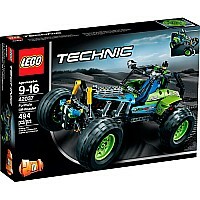 Measures approximately: 15.04 x 10.31 x 2.22 inches..